The Samsung 34” QLED Curved Monitor features two Thunderbolt 3 ports to connect compatible Macs and PCs. Thunderbolt 3 transmits video and data at speeds of up to 40Gbps and simultaneously charges devices, all over a single cable. 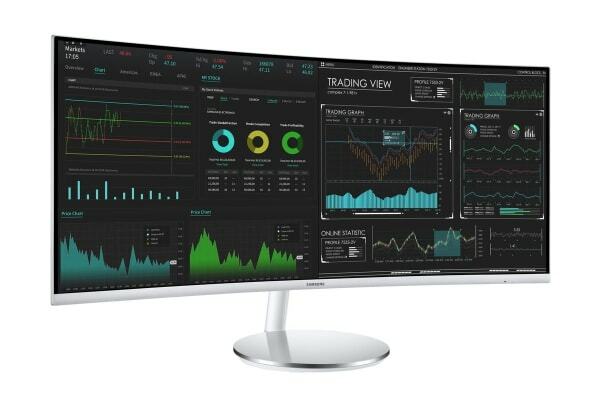 The 34” ultra-wide curved display with its 21:9 aspect ratio provides all the workspace you need to multi-task in comfort. 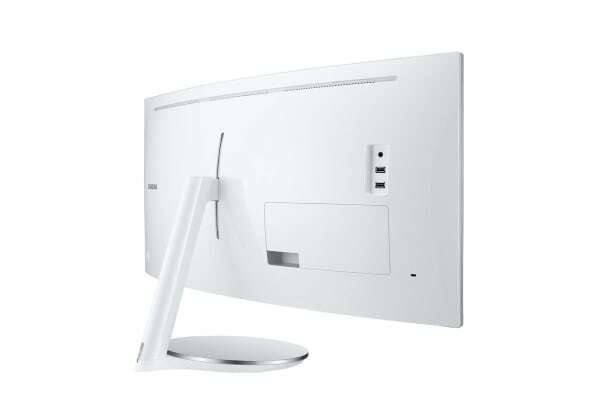 Forget about inconvenient dual monitor set ups and experience multitasking on a single screen. Supporting up to 125% sRGB colour space, Quantum Dot technology delivers colours that are bright, crisp and natural – especially reds and greens. And every monitor is factory calibrated, designed to ensure accurate images. Samsung’s VA panel technology provides a 3000:1 contrast ratio that delivers deep blacks, brilliant whites and rich colours for clear, vibrant images. AMD FreeSync synchronises the refresh rates of your graphics card and the CJ79, designed to minimise image tearing and stutter. The smooth transition between image frames provides superb gameplay and video playback for uninterrupted viewing. 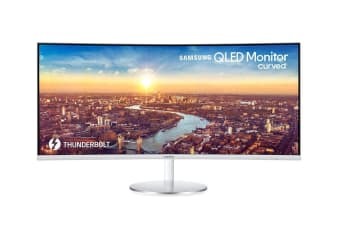 Two Thunderbolt 3 ports as well as, DP, HDMI and USB inputs, the CJ79 provide multiple connection options for PCs, consoles and external devices. And the built-in 7-watt stereo speakers offer a superb entertainment experiences when viewing videos and playing games.